Bäckman, Louis. "Types of Shaman: Comparative Perspectives." Studies in Lapp Shamanism. Eds. Louise Bäckman and Åke Hultkrantz. Stockholm Studies in Comparative Religion 16. Stockholm: Almquist & Wiskell, 1978. Behringer, Wolfgang. The Shaman of Oberstdorf: Conrad Stoeckhlin and the Phantoms of the Night. Charlottesville: UP of Virginia, 1998. Bourguignon, Erika, ed. Religion, Altered States of Consciousness, and Social Change. Columbus, OH: Ohio UP, 1973. Boyer, Régis. "On the Composition of Völuspá. Edda: A Collection of Essays. Eds. Robert J. Glendinning and Haraldur Bessason. U. of Manitoba Icelandic Studies 4. Manitoba: U of Manitoba P, 1983. 117-133. Buchholz, Peter. "Shamanism - the Testimony of Old Icelandic Literary Tradition." Mediaeval Scandinavia. 4 (1971): 7-20. Chaney, William A. "Aethelberht's Code and the King's Number." The American Journal of Legal History. 6 (1962): 151-157. Dillmann, Francois-Xavier. "Katla and Her Distaff: An Episode of Tri-Functional Magic in the Eyrbyggja Saga?" Homage to Georges Dumézil. Ed. E. Polomé. Jour. of Indo-European Studies Monograph 3. Washington, DC: Jour. of Indo-European Studies, Inst. for the Study of Man, 1982. "Seidr, Sagas, and Saami: Religious Exchange in the Viking Age." Northern Peoples, Southern States: Maintaining Ethnicities in the Circumpolar World. Ed. Robert P. Wheelersburg. Northern studies. Umeå [Sweden]: CERUM, 1996. 43-66. Eliade, Mircea. Shamanism: Archaic Techniques of Ecstasy. Bollingen Ser. 76. Princeton: Princeton UP, 1964. Ginzburg, Carlo. Ecstasies: Deciphering the Witches’ Sabbath. New York: Random, 1991. Harris, Joseph. "Cursing with the Thistle: 'Skírnismál' 31, 6-8 and O-E Metrical Charm 9." The Poetic Edda : Essays on Old Norse Mythology. Ed. Paul Acker and Carol Larrington. New York: Routledge, 2002. 79-93. Haugen, Einar. "The Edda as Ritual: Odin and His Masks." Edda: A Collection of Essays. Eds. Robert J. Glendinning and Haraldur Bessason. U. of Manitoba Icelandic Studies 4. Manitoba: U of Manitoba P, 1983. 3-24. Host, Annette. "Exploring Seidhr: A Practical Study of the Seidhr Ritual." North Atlantic Studies. 4.1-2 (2001): 73-79. Jenny. "Old Norse Magic and Gender." Scandinavian Studies. 63.3 (1991): 305-317. Kelchner, Georgia. Dreams in Old Norse Literature and Their Affinities in Folklore. Cambridge: Cambridge UP, 1935. Kress, Helga. "The Apocalypse of a Culture: Völuspa and the Myth of the Sources/Sorceress in Old Icelandic Culture." Poetry in the Scandinavian Middle Ages: The Seventh International Saga Conference Under the High Patronage of the President of the Italian Republic, Francesco Cossiga, Spoleto, 4-10 September 1988. Paroli: Spoleto Presso la Serede del Centro Studi, 1990. 279-302. The Way to Awaken : Exercises to Enliven Body, Self, and Soul. Wheaton, Ill. : Theosophical, 1997. Masters, Robert, and Jean Houston. Mind Games: The Guide to Inner Space. Wheaton, IL: Quest, 1998. Monroe, Robert A. Journeys Out of Body. Mansfield, OH: Main Street, 1973. Morris, Katherine. Sorceress or Witch? The Image of Gender in Medieval Iceland and Northern Europe. Lanham, MD: UP of Amer., 1991. Moyne, Earnest J. Raising the Wind: The Legend of Lapland and Finland Wizards in Literature. Newark: Prentice Hall, 1981. Norlander-Unsgaard, Siv. "On Gesture and Posture, Movements, and Motion in the Saami Bear Ceremonialism." Arv 41 (1985): 189-99. Palsson, Gisli. "The Name of the Witch: Sagas, Sorcery, and Social Context." Social Approaches to Viking Studies. Ed. Ross Samson. Glasgow: Cruithne, 1991. 157-168. Pentikainen, Juha. Shamanism and Culture. Helsinki: Etnika, 1997. Quinn, Judy. "Dialogue with a völva: Völuspá, Baldrs draumar and Hyndluljód." 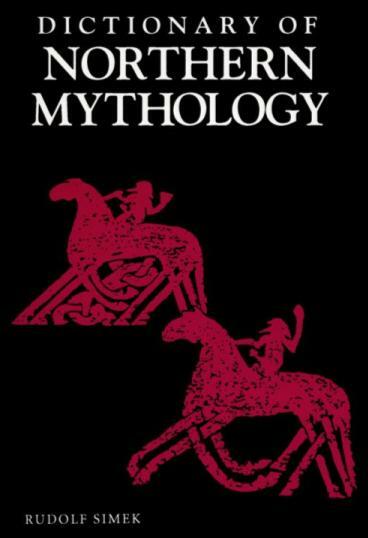 The Poetic Edda : Essays on Old Norse Mythology. Ed. Paul Acker and Carol Larrington. New York: Routledge, 2002. 245-274. Schach, Paul. "Some Thoughts on Völuspá." Edda: A Collection of Essays. Eds. Robert J. Glendinning and Haraldur Bessason. U. of Manitoba Icelandic Studies 4. Manitoba: U of Manitoba P, 1983. 86-116. Sørensen, Preben Meulengracht. The Unmanly Man: Concepts of Sexual Defamation in Early Northern Society. Trans. Joan Turville-Petre. Viking Collection 1. Odense: Odense UP, 1983. 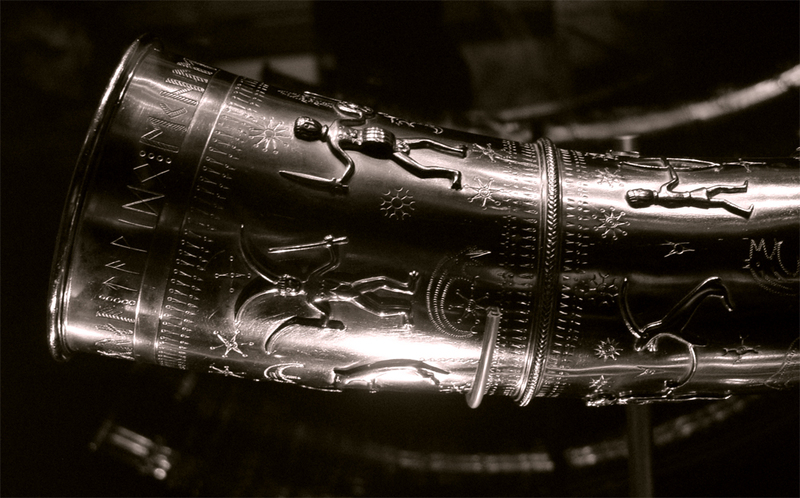 Eliade, Mircea, Cosmos and history: the myth of the eternal return, trans. Willard B. Reader in comparative religion; an anthropological approach, ed. William A.
Theodore M. Andersson. The Problem of Icelandic Saga Origins: An Historical Survey. New Haven, CT: Yale University Press, 1964. Theodore M. Andersson. The Icelandic Family Saga: An Analytic Reading. Cambridge, MA: Harvard University Press, 1967. Jesse L. Byock. Feud in the Icelandic Saga. Berkeley: University of California Press, 1982. Jesse L. Byock. Medieval Iceland: Society, Sagas, and Power. Berkeley: University of California Press, 1988. Carol J. Clover. The Medieval Saga. Ithaca, NY: Cornell University Press, 1982. Carol J. Clover & John Lindow (eds.) Old Norse-Icelandic Literature: A Critical Guide. Ithaca, NY: Cornell University Press, 1985. Margaret Clunies Ross (ed.) Old Icelandic Literature and Society. Cambridge University Press, 2000. Peter Hallberg. The Icelandic Saga. Lincoln: University of Nebraska Press, 1962. William Paton Ker. Epic and Romance: Essays on Medieval Literature. London: Macmillan, 1896. Jonas Kristjansson. Eddas and Sagas: Iceland’s Medieval Literature. Reykjavik, 1992. John Lindow, Lars Lonnroth, Gerd W. Weber (eds.) Structure and Meaning in Old Norse Literature. Odense University press, 1986. Rory McTurk (ed.) A Companion to Old Norse-Icelandic Literature and Culture. Oxford: Blackwell, 2005. Preben Meulengracht Sorensen. Saga and Society: An Introduction to Old Norse Literature. Odense University Press, 1993. Heather O’Donoghue. Old Norse-Icelandic Literature: A Short Introduction. Oxford: Blackwell, 2004. Paul Schach. Icelandic Sagas. Boston: Twayne, 1984. Gsili Sigurdsson. The Medieval Icelandc Saga and Oral tradition: A Discourse on Method. Harvard University Press, 2004. John Tucker (ed.) Sagas of the Icelanders: A Book of Essays. New York: Garland, 1989. E. O. G. Turville-Petre. Origins of Icelandic Literature. Oxford: Clarendon Press, 1953. Paul Acker & Carolyne Larrington (eds.) The Poetic Edda: Essays on Old Norse Mythology. New York: Garland, 2001. Robert J. Glendinning & Haraldur Bessason (eds.) Edda: A Collection of Essays. Winnepeg: University of Manitoba, 1983. The Poetic Edda / tr. Henry Adams Bellows. New York: American-Scandinavian Foundation, 1923. Poems of the Vikings: The Elder Edda / tr. Patricia Terry. Indianapolis: Bobs-Merrill, 1969. The Poetic Edda / tr. Carolyne Larrington. Oxford University Press, 1996. The Prose Edda / tr. Arthur Gilchrist Brodeur. New York: American-Scandanavian Foundation, 1916. The Prose Edda of Snorri Sturluson: Tales from Norse Mythology / tr. Jean I. Young. Cambridge: Bowes & Bowes, 1954.Edda / tr. Anthony Faulkes. London: Dent, 1987. Davidson, H. R. Ellis, "Hostile magic in the Icelandic sagas", in The witch figure: Folklore essays by a group of scholars in England honouring the 75th birthday of Katherine M.
Olsen, Magnus, Hedenske kultminder i norske stedesnavne, Videnskaps selskapets skrifter, II.